‘Street Art’ is inspired by electronica, performed by Murphy’s Law with live strings and turntables. Electronic music effects, such as delay, sampling and looping, are recreated live with this awesome line-up, featuring some of Australia’s best jazz and classical musicians. Tiny beats, fat grooves and ambient effects brought from the electronic world of computers are re-created live in an analog state. Is a unique project worth checking out. Murphy’s Law has been together since 2001, producing a dynamic sound unique to the Melbourne live music scene. 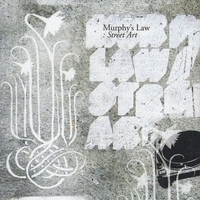 “Street Art” from Murphy’s Law is a long overdue project, following the success of their debut CD “Telling Tales”.